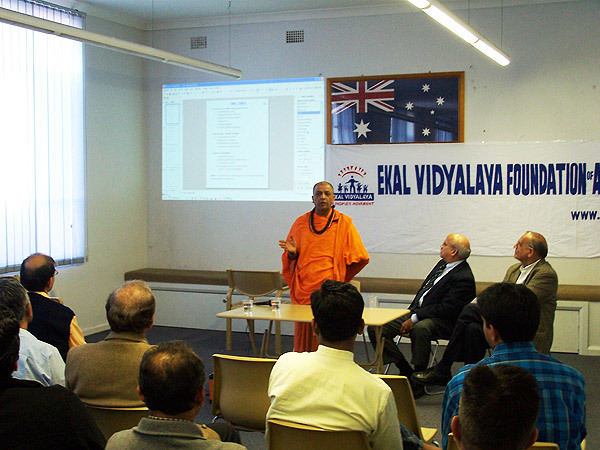 Ekal Vidalaya Global CEO Dr.Basant Tariyal, & Secretary Swami Satchidananda visited Hong Kong, Sydney, & Singapore from 18th to 25th August 2005. 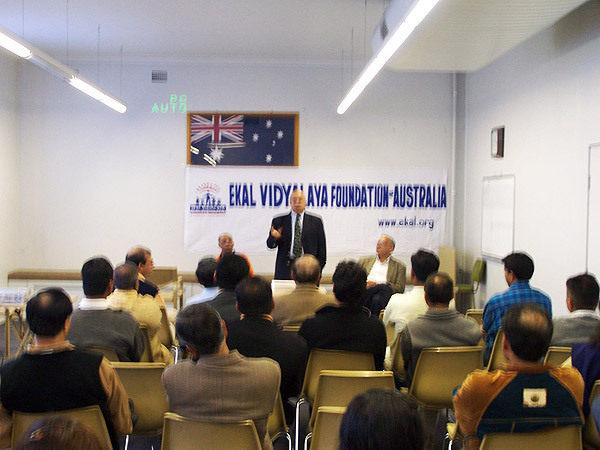 The purpose of the visit was to finalize the structure of EVF Hong Kong, and to help motivate EVF Australia and help them in their effort to achieve the tax-exempt status. In Singapore the purpose was to investigate if EVF Singapore can be formed, and if not, how can the sponsors in Singapore support the EV movement. In meetings held on the 18th and 19th, Sri Bhupen Surani, one of the leading diamond merchants was chosen as Chairman. 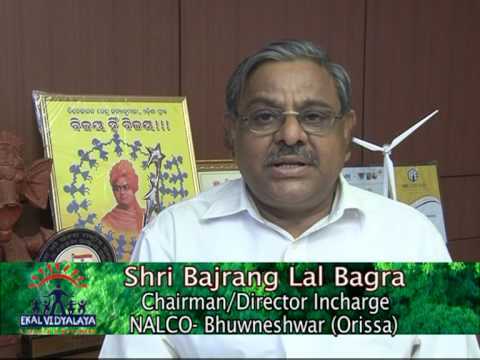 Shri K.P.Daswani's name was proposed for Global advisory board. The rest of the structure was finalized with Mr.Sohan Goenka as President, Shri Nandkumar as Secretary. 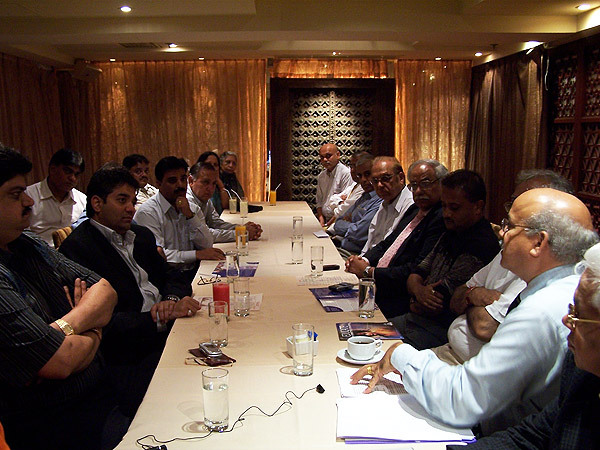 In Singapore a breakfast meeting was held at Shri C.B.Agarwal's residence on Aug. 24th. The issues relating to formation of a foundation in Singapore were discussed and it was felt that in view of the Singapore laws it would be an uphill task. 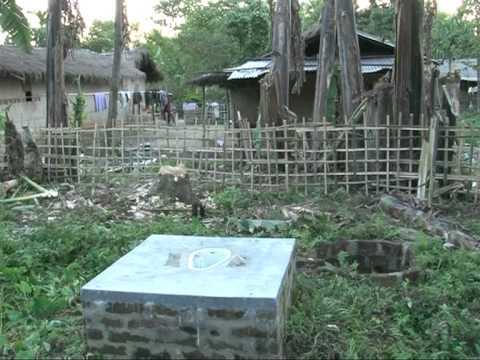 However, it was felt that the donations could be sent directly to India. It was agreed that Mr.Bhojwani, Mr.Dayani & Mr.Khemani would constitute the advisory board in Singapore. A target of 100 schools was set for the year 2005. Mr. Agarwal agreed to be the point of contact person for Singapore and Shri Sanjay Kumar would provide the necessary support. Overall we achieved our goals of the visit and we feel that the visits were highly successful. Five thousands full timer Karyakartas are to be trained in the production of Vermi casting based Bio-fertilizer (Eco Organic Manure) till coming December so as to make them self supporting by increasing their monthly income at least by a thousands rupees. 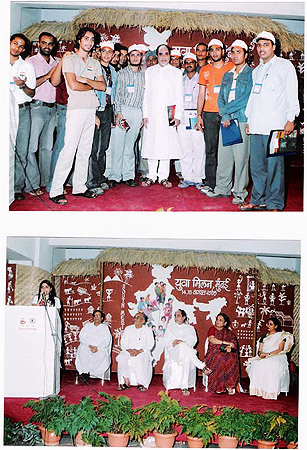 Master Training Camp was organized from 27th to 31st August 2005 at Tinsukia, Assam. Kendriya Toli members and Area Pramukhs were given an exhaustive training. From the dung of a single cow two tons of Eco Organic Manure can be prepared every year. 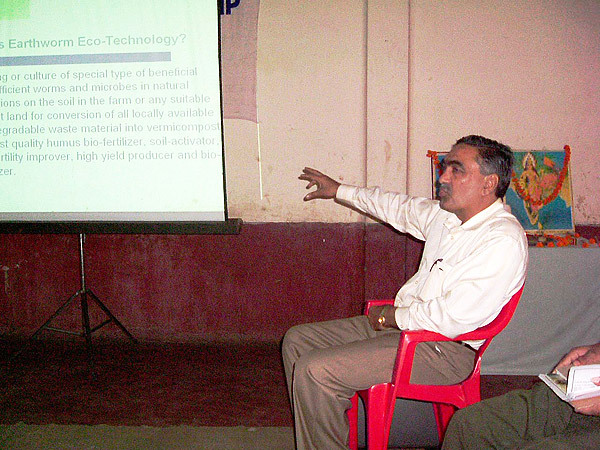 The guidance was given by Sri Dinesh Parikk on the basis of his vast experience. 15 Karyakartas from 7 Prants participated in this Varg. 22, 23 & 24 September 2005 at IIT Delhi. Recently, the IMFSPA awarded a grant of $500 to the Ekal Vidyalaya Foundation in India, from our June 2 bake sale proceeds. Our member, Garima Kabra initiated the grant through the Fundraising Committee. Ekal Vidyalaya Foundation is a charitable trust that initiates, supports, and runs non-formal one-teacher schools (popularly known as Ekal Vidyalayas) all over India. 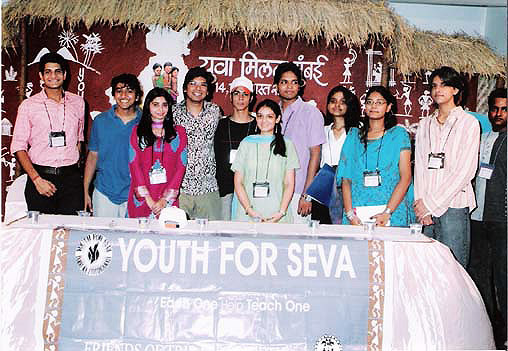 Visionaries who prophesied, "If the poor boy cannot go to school— school must go to the poor boy,"
Youth For Seva (YFS) Convention-2005 was held on the 14th and 15th of August in Mumbai. It was the 3rd meet of YFS. 60 youths from 15 cities met to discuss their present working strategies as well as plan for future expansion. Due to cancellation of many trains nearly 50 youths could not reach Mumbai to participate in the Youth meet as Mumbai was in the grip of floods for several days. The two-day conference was highly motivating and inspiring. Mr Shaan, a famous young Bollywood singer lit the lamp to begin the convention. This occasion was graced by the presence of Mr Dilip Lakhi, Mr Radheyshyamji Jhunjhunwala, Mr R.L. Kabra and Jeetu Bhai Bhansali to name a few. The presence of Shri Shyam Gupt, Mrs Manjushree Srivastava and Mrs Nayantara also added to the glitter of the occasion. Mrs Manjushree in her introductory speech stated, ‘‘Each One Teach One’ is the YFS’s mission statement. The task behind achieving this goal is daunting but as Swami Vivekananda once stated that only the youth can change the destiny of our country. The supreme value of the period of youth is incalculable and indescribable. It is the strongest power that can contribute in education, health and economic development of the country. The statistics show that India when compared to developed nations of the world like U.S.A., Japan, U.K etc has the highest number of young population. 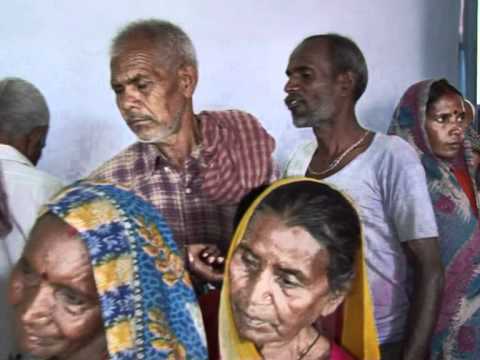 While the population in the above mentioned nations are ageing, in India more than 50% of the population comprises of young blood. 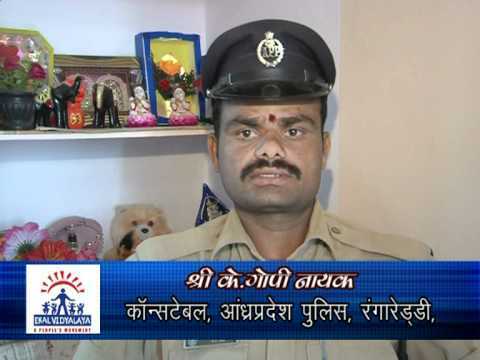 According to its parent organisation, that is Ekal Vidyalaya Foundation, the youths can act as a bridge between the three pillars of this movement- the Nagarvasis, the Gramvasis and the Vanvasis. It has also been seen that the urban youth wants to contribute to the cause and they need a forum to work with. YFS can give meaning and shape to this urge of the youth.’ The youth wing of Agroha Vikas Trust presented a report, educating us on their contribution to humanity. This was followed by a fun session organised by the Agroha group. This session acted as an energy booster for everyone present there. The rest of the day comprised of school working and youth working sessions. Sri Shyam Gupt explained the concept and main functions of youth working. A question cropped up in every hearts’ and minds’ present there that ‘should I now devote my life for this cause or should I get a good job, flourish, and maybe after ten years be able to help at least 1000 schools?’ To this a beautiful answer was given-‘money is bountiful, but the organisation needs devoted youth who can bring awareness in the society for the cause and youth can manage both.’ The following day we celebrated our country’s independence by hoisting the national flag. Our country has gained political independence but not socio-economic and cultural independence as it is still gripped by poverty, illiteracy and ignorance. A panel of speakers sat to discuss the topic ‘How does the youth today strike a balance between their professional demand and personal satisfaction which comes through social service?’ Striking views were presented by the audience as well by the panel. This was followed by Anubhav Kathan session. In this, at least one representative from every state had to describe their experience of this meet. Statements like ‘Sky is the limit’, ‘It feels as if I am just born’, and ‘We have got a new awakening in life’ etc were made which showed the enthusiasm of the participants. Also the whole time workers presented their views and also told us experiences of their lives in the tribal areas which left us dazed and amazed. Lastly, the valedictory program was honoured by the gracious presence of Mr Subhash Chandra, Chairman Zee TV and also Chairman of Ekal Vidyalaya Foundation of India (EVFI) and his wife Shrimati Sushila Goel. 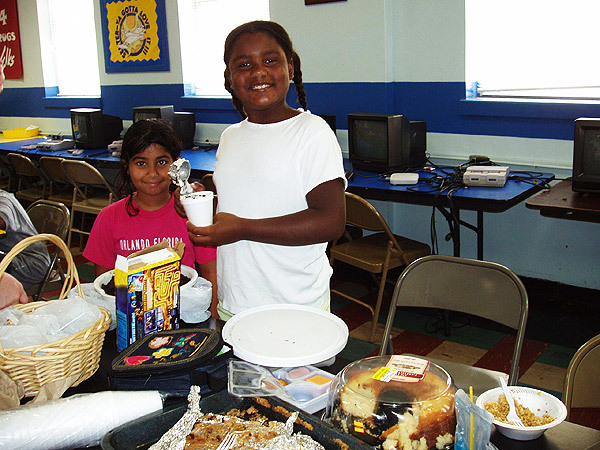 Eight years old Shreeya daughter of Sri Sudhir Deshmukh, thought of helping kids in India and she came up with the idea of having a bakery sale in her school's summer fun camp (Senter School Chattanooga, TN). Her friend Jade Few joined her. With her mother Neha, Shreeya baked a few things. Jade and her mother Ms. Kim also baked things. They sold them all week. They collected $ 104.60 from the sale. She donated that money to EVF USA.